This Vintage Hot Fudge Pie is a cross between a brownie and a cookie. A real old-fashioned treat that’s perfect for chocolate lovers of all ages! Another vintage dessert today! This time I’m sharing a treat that chocoholics of all ages will enjoy. 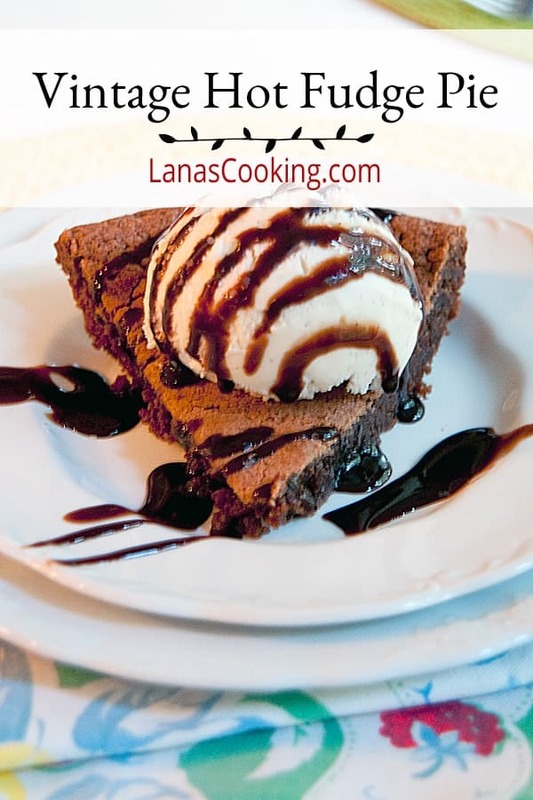 This Vintage Hot Fudge Pie is so easy to make. Just cream some butter and sugar, stir in the flour and cocoa, and bake for a few minutes. 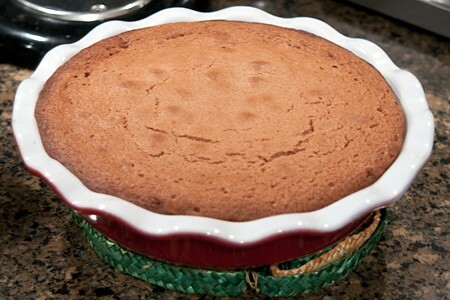 The result is something like a cross between a brownie and a cookie in a pie shape. Does that even make sense? You’ll just have to try it to see what I mean. I made this when the grandkids were here for a visit. I mixed it up and let it bake while I cooked the rest of dinner. It was ready just about the time we finished. Add a scoop of vanilla ice cream and there you have it! Everyone gave it a big thumbs up. As far as the origin of this recipe…I don’t have a clue. It’s definitely an old one. I’ve seen it over the years in dozens of community cookbooks. Just give this delicious old recipe a try. Your family will love it! Preheat the oven to 350 degrees. Cream the butter and sugar together using an electric mixer until the mixture is light and fluffy. It usually takes about 3 minutes. 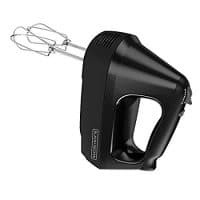 Turn the mixer to low speed and add the eggs and vanilla. Mix until well blended. 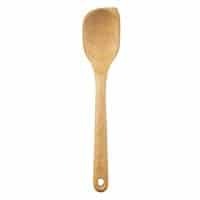 Using a spoon, stir in the cocoa powder, salt, and flour. Stir until everything is evenly combined. 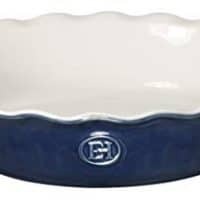 Lightly coat an 8” pie plate with cooking spray. Pour the mixture into the pie plate. 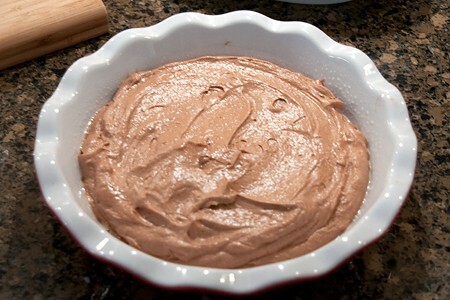 It almost looks like a rick, rich mousse at this point, doesn’t it? Bake for 30-35 minutes or until the center of the pie is set. Remove from the oven and allow to cool for 10 minutes before serving. After baking, the pie really resembles brownies. It will fall as it cools and that is to be expected. Serve with vanilla ice cream and a drizzle of chocolate syrup. Pin to Your Pinterest Chocolate Board! 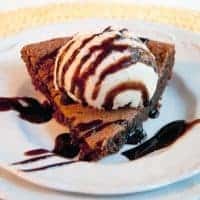 This Vintage Hot Fudge Pie is a cross between a brownie and a cookie. A real old-fashioned treat that's perfect for chocolate lovers of all ages! Cream the butter and sugar together using an electric mixer until light and fluffy - about 3 minutes. With the mixer on low speed, add the eggs and vanilla and mix until well blended. Stir the cocoa powder, salt, and flour into the egg and butter mixture until everything is well combined. Lightly coat an 8” pie plate with cooking spray. Pour mixture into the pie plate. Bake for 30-35 minutes or until the center of the pie is set. My chocolate loving Swiss MIL would be all over this!! I need to make it for her asap. Thanks Lana! You’re welcome, Mique! Hope your mother-in-law enjoys it. I just love the old recipes, Mona. It makes me happy to keep them alive and passed down to younger cooks. YUM!! Sounds amazing Lana, wish I was one of your grandkids for a day haha! Oh my deliciousness!!! Can’t wait to make! Hope you enjoy it, Kim. All of that chocolate…. Ahhhhh. A favorite of mine Lana…wish a good size dollop of whipped cream or ice cream of course! I’ve GOTTA try this! Yum! I’m so sorry, Pam! Funny, we’ve never noticed a salty taste from this recipe. Maybe because I always use Kosher salt and also be sure to use unsalted butter. Made this and it was delish! Just like a perfect brownie… Crust on top and the sides and chewy inside. Made a caramel sauce to go with it. Now all it needs is a scoop of vanilla ice cream. Thanks for the fabulous recipe! You’re welcome, Mimi. So glad you enjoyed it!